Hi, readers--I'm in the midst of the project that will not end. If I was charging by the hour, this would be good news--I'd be making more and more money. However, I'm being paid a set fee (or a project fee), which means my hourly rate is plummeting. It also means that I have close to zero free time, which is why this week's post features a "blast from the past"--one of my most popular posts--about a semantic difference that many freelancers ignore to their peril. So, let's talk about what you're making per-word for the articles you write. Is it $1/word? $2/word? $0.40/word? $0.25/word? Even less? You may be surprised that I've taken on assignments that pay $0.40/word, even $0.25/word, and yes, even less than that. I don't care about the per-word rate as much as I care about what I make per-hour. Per-word rates are the norm in the freelance world. This figure, multiplied by word count, tells you how much you’ll make for writing a particular story. But it may not tell you whether it’s worth it to take it on. The real question is how much time the story will take. The assignment amount, divided by the number of hours you put into it, gives you your hourly rate for the piece. At first glance, the $1,500 piece looks like a better assignment—and it is a bigger check. But my experience has been that national markets (and I’ve written for more than 60 of them) expect a lot more work from you to earn that higher rate. In many cases, I’ve found that regional magazines, trade publications, websites, and specialty magazines actually pay better per-hour than big national pubs. And that makes them worthwhile markets for me. What about you? Are you tracking your time…or just your dollars? **Readers, I'm working on a list of topics to cover for the rest of the winter. What questions do you have about freelancing? Comment here and I'll be happy to consider them. In the meantime, if you're serious about turning your passion for writing into profits, check out Dollars and Deadlines: Make Money Writing Articles for Print and Online Markets. Already making money as a freelancer, but want to take your career to the next level? Then you need Six-Figure Freelancing, Second Edition: The Writer's Guide to Making More Money. Do you find that locating--and interviewing potential sources--one of the time-consuming parts of freelancing? Me too. That's one reason I always start looking for sources within a day or so of accepting an assignment--I need to identify my sources before I contact my sources before I line up interviews with my sources before I interview my sources...you get the point. Q: Let's talk sources. Just how important is finding the right sources is for journalists/freelancers? A: The daily routine of a writer can be pretty hectic and it's tempting to plug in sources quickly and move on to the next assignment. But finding a good source can make a huge difference, both in an article, and in a career. Credibility - A high-caliber source not only makes a story more credible, but it shows your editor that you have a good network to draw from. Articulating ideas - Writers have to write about a wide variety of topics and quickly understand complex issues. A knowledgeable source can distill a complex issue or give nuance to something that seems simple or uninteresting. Fact checking - While you are digging up information, you'll uncover things that need to be verified. Having a few good sources can keep you from getting burned. Diversity of opinion - Having a few different opinions go a long way in articulating complexity or highlighting different perspectives. Controversy - Sometimes a source will provide a quote or commentary that is controversial. While you may have to endure a few crazy comments, controversy gets people excited and can drive a lot of interest. Visibility - Having a well-known or respected source can significantly impact how much people talk about and share an article. This has a huge impact on the number of times your piece is seen. Networking - When you build a relationship with a influential source, you can often call on that source to connect you with people in their network later. A good writer is a good storyteller. It's hard to tell a good story without the right people, so it's usually worth the extra work to find them. Q: There are other sites (e.g. 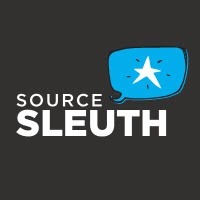 Help a Reporter Out) that appear to provide a similar service to SourceSleuth. How is SourceSleuth different? A: Many query sites send their queries to a massive email distribution list. Because of that, they are better at finding sources who have had a particular life experience (did something embarrassing at work party, had a makeover go awry or went through a nasty divorce). We focus more on finding someone with a particular expertise or informed perspective, rather than a life experience. One of the problems with sending queries to an enormous email list is that the queries are open to the public. You run the risk of being scooped or irritating the publication by using their brand name. Another problem is that while the queries sent to email lists typically get a lot of responses, most of the responses will be unqualified, pitching off-topic or just don't make sense for the story. As Ryan Holiday demonstrated with his prank on HARO (http://www.forbes.com/sites/davidthier/2012/07/18/how-this-guy-lied-his-way-into-msnbc-abc-news-the-new-york-times-and-more/), relying on sources that haven't been vetted can be risky. We care a lot more about the quality of sources than the quantity of sources we provide. With other services it's pretty common to get dozens of responses, but none of those sources have been vetted. Any writer who has used these services knows they don't have strict requirements or filters for people responding to a query. Writers come to us, not because they'll get dozens of sources, but because they'll get a handful of vetted sources that make sense for a story. We have someone who is responsible for connecting writers with quality sources for every single query that comes in. Because of that, we successfully connect writers with sources for 90% of our queries. Q: That's an impressive statistic, Ryan. So how do writers/freelancers work with Source Sleuth? Can you tell me a little about the process? A: The process is pretty simple. Writers fill out a form on our website and usually within 24 hours we'll introduce a source via email who is interested and qualified for the story. Q: How do you [Source Sleuth] locate potential sources? A: While we try to keep the process for the writer very simple, what we do behind the scenes is a bit more involved. Over the last year, we've built a proprietary database with hundreds of thousands of sources. When a query comes in, we search profiles in our database to see if we have someone who fits the query. While our database is pretty robust, it's not perfect. When we don't have a quality source in the database we use a combination of research techniques, tools and good old-fashioned legwork to find sources. Either way we do it, we have someone who personally approves each source. Q: That's good to know. So, tell me why you decided to create/launch the company, please. A: I'm fascinated by the changes going on in media. A lot of people are cynical about where the Internet is taking journalism. Google created a short-term incentive for publishers to crank out a massive amount of low-quality content. Social media clamors for Buzzfeed to crank out animated gifs. But I think some of these things are just the growing pains of the transition to new media. Technology has provided the opportunity for writers to publish at little or no cost and connect with niche audiences. There has also been an explosion of tools and great resources for writers - like this lovely blog :) - that make writers much more efficient. I don't think the trends that have given low-quality content undue attention are permanent. Yes, people want to be entertained. The Kardashians and Miley Cyruses of the world are always going to get attention. But readers also want to be well informed. They need quality journalism and writing from publishers and writers they can trust. I'm a big believer that quality will prevail and I want to be involved in this evolution.